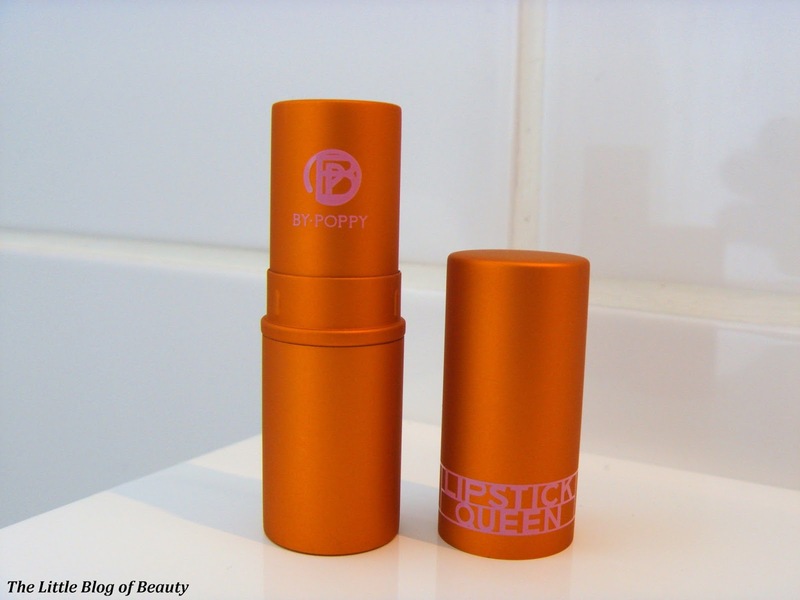 This gorgeous looking lipstick I actually got my hands on last year when I won one of London Beauty Queen's Twitter giveaways. I received a bundle of some amazing products and this lipstick was one of them. 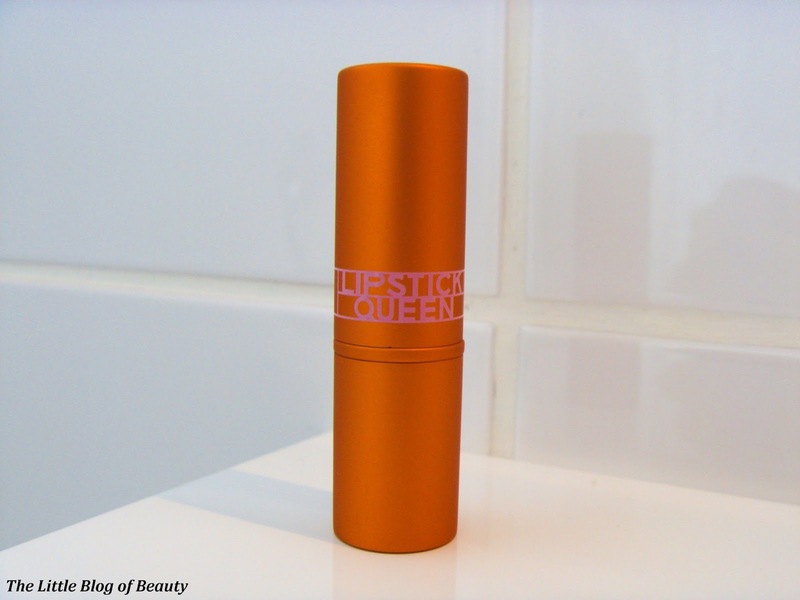 By the time I got round to thinking about reviewing it I realised it was a bit late in the year for this kind of lipstick so I popped it away planning to pull it out again this spring. 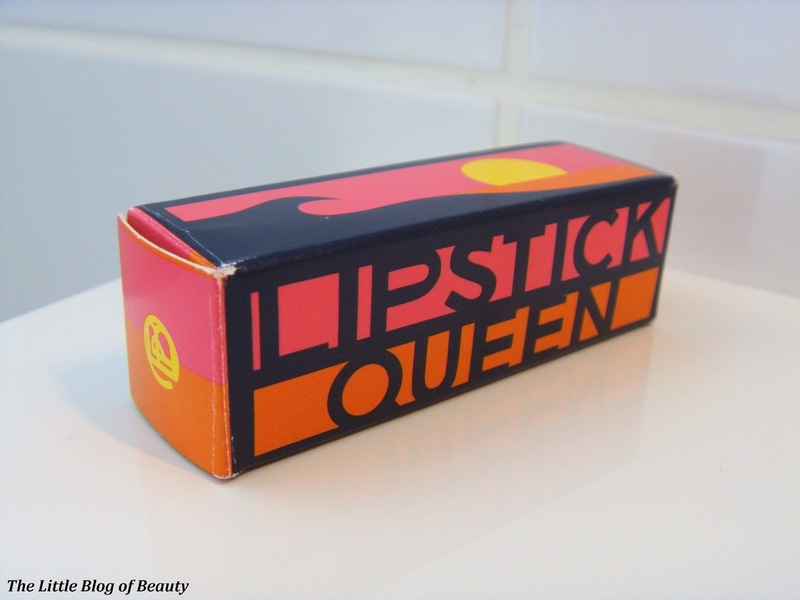 The packaging is definitely very pretty and quite unusual in terms of colour scheme with the casing of the lipstick being a kind of burnt orange/coppery colour with Barbie pink writing. It also has a slightly rubberised kind of feel to it and in general feels very good quality with a sturdy wind-up, although the lid doesn't feel that secure as it doesn't click back into place. 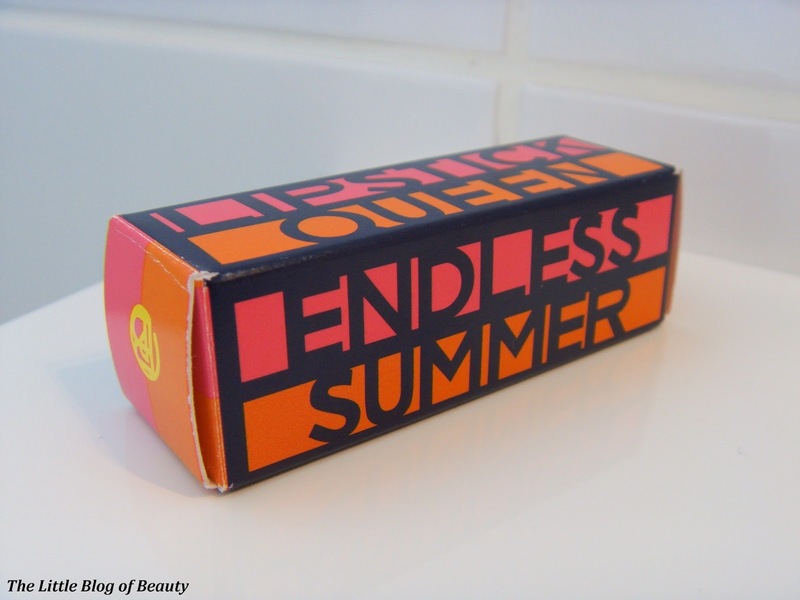 The outer packaging screams summer and is the sort of packaging that I find incredibly difficult to throw away *stands up* my name is Becky, and I'm a pretty packaging-aholic! Unfortunately this doesn't have a very pleasant smell to it. It's not particularly strong, but is that strange kind of plasticky smell that some lipsticks do have, which surprised me a little as this isn't a cheap lipstick. It also has quite an unpleasant taste to it, I try not to eat my lipsticks, but I do tend to lick my lips quite a lot! Although in the bullet this looks like a scarily bright almost fluorescent pink it's actually a sheer lipstick and so isn't a full on block of bright colour. 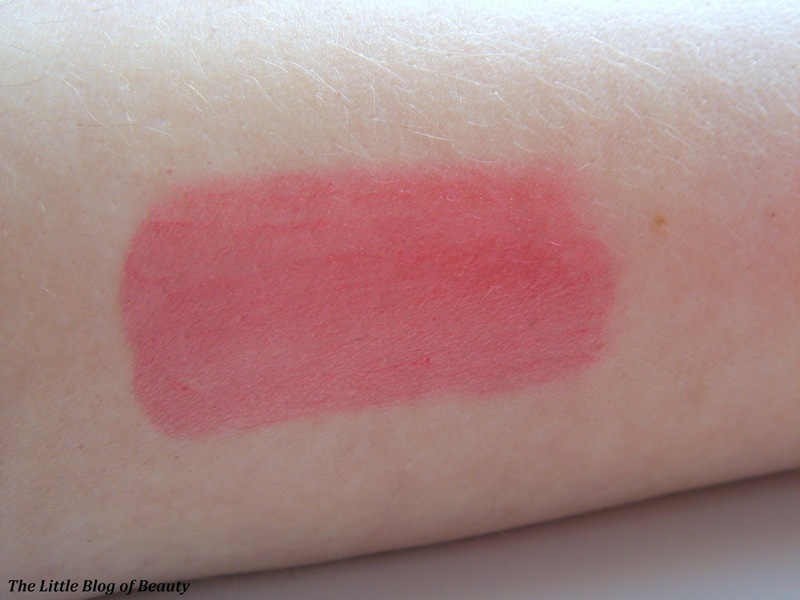 It is still a bright pink but is a thin sheer colour with a shine to it that doesn't show well in the swatch above. It's a very pretty colour, especially for the spring, but I can't help thinking it doesn't really suit me once applied. As a sheer lipstick it also doesn't last very long, maybe a couple of hours at the very most (I would say it's more likely less then that) although this is quite an easy one to apply and could be reapplied without a mirror. Although this is a very pretty lipstick I have to say I'm disappointed when I take into account the smell/taste, not very secure lid and how long it lasts, although that's unsurprising for a sheer lipstick. As I said the colour also isn't great on me but that's personal preference/skin tone and obviously it would look amazing on some people. Although I'm disappointed with this particular lipstick I would definitely consider trying a non-sheer one as long as I could have a sniff beforehand to double check that it didn't have the same smell. As I said these lipsticks aren't cheap and the Endless Summer range (which consists of three shades) are available at £18 each. I'm not sure how widely available these are but you can find them over at Space NK. 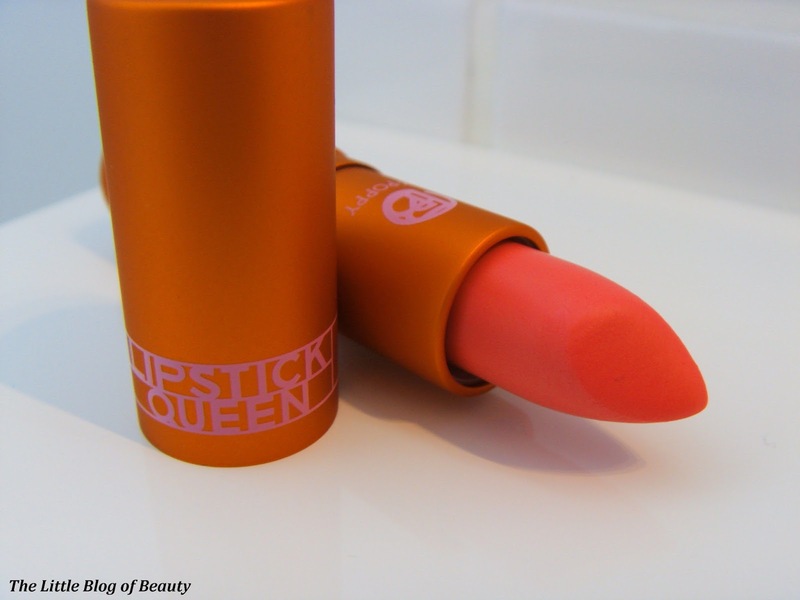 Have you tried a Lipstick Queen lipstick? Its a gorgeous colour in the bullet, It would be lovely if it was that shade on.